Here is a thing I’ve discovered and it will hopefully save someone else hours of time. I have osTicket installed, with IMAP enabled to download emails from our Exchange mail server into the system. I then have filters enabled to apply rules to these emails to automagically point them at the right team / department / user – we use osTicket for marketing, reporting and so on as well as for IT Support. For example – reports@domain.com need to go the Reporting Department, not support. Seems simple right? There is a problem though – I do not want to have 10 email accounts (and associated logins) set up for my osTicket emails. In an Exchange environment, you can’t just have a shared folder – it needs to have a full user account and an associated Exchange mailbox to use POP3 or IMAP and this costs us a CAL (Client Access License) every time. Frustrating! So I thought – let’s use an alias instead. I called the actual user account something like ithelp@domain.com and then aliased reports@ to ithelp@. Emails sent to reports landed successfully at ithelp@ and it looked rosy. Subsequent testing though proved to be very painful – the filters didn’t seem to be working and the emails being sucked into osTicket were going to the default Department. I experienced some frustration around this (and may have cursed a bit). After trying several different options with changes to the filters, I eventually looked at the headers and had an unpleasant find. When one sends an email internally to an Exchange mailbox via an alias, it drops the alias off in the headers! So my emails to reports@ were being reported as having been sent to ithelp@ and osTicket was accurately processing these emails based on that. AARGH! Poking around on the net proved fruitless – partly because of the complexity in our set up, but I did find a work around. I removed the alias and instead created a distribution group with one member – ithelp@ and an email address of (you guessed it) reports@. The filter now works properly and it’s all good. I still have a single, aggregating email account costing me one CAL, and a several distribution groups that keep it all hanging together. I think using G Suite won’t have this effect, but I don’t have G Suite at this time, only Exchange. Here’s hoping that if you’re looking for this answer, I’ve saved you an hour or two. Some time ago I published a comparison of OTRS and osTicket. I've now had the chance to use osTicket as a daily task management tool, so I thought it might be worth updating my initial impressions. A ticket is almost like a mini-project - it can be used standalone, with references back to a client creating the ticket and keeping it updated, with tasks (like a work breakdown structure) applied against the ticket. The ticket can't be closed until all the tasks are completed. Tasks on the other hand, can be autonomous of a ticket and are quick and easy to start, fill in and then to close. There is no link back to a creating user though. I've used both extensively - many of the tickets I have running have numerous tasks dependent on them (although it is a mutual dependency) and I can farm tasks out to different people to get the job done. In fact, within the work I'm doing now, I've been using OpenProject (which I'll make some notes on soon) to manage the top level project stuff, then breaking the project down into tickets and tasks within osTicket to keep on top of the whole process. It's working pretty well. The project review meetings look at both products and bring it together. OpenProject isn't great at task management - rudimentary at best, but is great at the higher level project management activities. osTicket isn't good at bigger project work, but handles the lower level complexity very well. It's important to note too that I have had to migrate osTicket from a XenServer VM to an Azure VM. I simply ran an SQLdump of the whole database and a backup of the install folder (/var/www/html/osticket), set up a brand new osTicket installation, then copied the data I'd backed up across. Restarted the webserver and away we went. I'd like to also point out that I love Let's Encrypt for providing SSL certificates to secure it all. osTicket reporting is something to be investigated further - the dashboard isn't bad and satisfies my manager that work is getting done, but I'd like to extend it a bit further. Capturing time on tickets is another requirement I need to investigate. These are relatively minor in the current application of this software though and I'm quite pleased by it. it's a ripper of a machine. Now I paid under $250AUD for this off a friend. The Windows install was stuffed and needed a full rebuild. Pretty easy right - 2 hours for install and then wait for patches - but she wasn't having a bar of it and bought a shiny, but shite new laptop. And I ended up with a terrific spare laptop that quickly became my number one machine. 14.0” HD (1366 x 768) (200 NITS) - look at those NITS! I get about 6 hours out of the battery - and this is mostly running the machine flat out. It has a nice bright screen, isn't very heavy and is very robust. 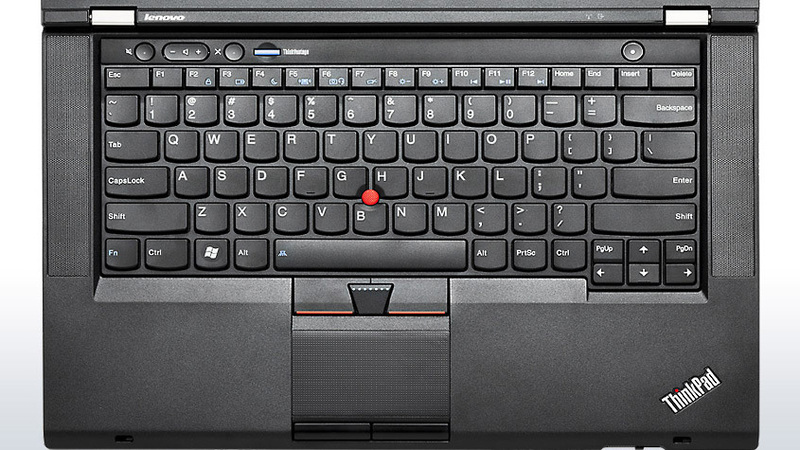 The shining feature of this laptop is the keyboard. 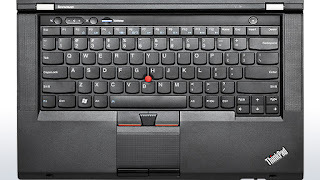 Lenovo have really done a great job keeping such nice keyboards on their laptops. This one in particular is great to use - a joy in fact. I recently typed a 3000+ word essay on it for Uni and appreciated how good the keyboard was consistently during the process. Compared to the brand new Apple laptop I've written about previously - laptops that are now having huge complaints about the keyboards - this one is great. 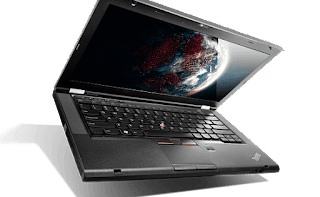 And Lenovo have kept this quality with other laptops of theirs I've had the opportunity to play with - for example, the E570 and the X1 Carbon. I've actually got a review on the brand new Gen6 X1 to write up - keep an eye out for it. The reason I write this is to promote the idea that older technology need not be obsolescent. A machine like the T430 is honestly a powerhouse - it smashes desktop work, has a nice sit-in dock available for it, USB3 ports, SSD disk as a standard option and has a very readable and usable screen. I managed to watch 3 episodes of Altered Carbon on it without the battery dying on me. Even better it has an Ethernet port, DVD writer and a top lit keyboard - there is a little LED light in the top of the monitor. Very handy for night work, or working in a roof - which I have done. As a rugged laptop it's great - apparently it's been tested to Milspec, but has shown to me to be resistant to falls (oops! ), dust, heat and cold - 40C to 0.5C. These laptops are available on eBay in price ranges between $100 and $400. Keep an eye out and you might grab a bargain!